I have known Jim Dunne for a number of years and it was interesting to hear that it was whilst he was in Soho in London that the germ of an idea for designing and building studios off site came about. The idea that you can have your new facility up and running quickly, is very appealing for studio owners. The reduction of on-site build time means your downtime is less enabling you to be able to bring new facility on line much more quickly thus generating income to pay for the whole exercise is also much quicker too. Another advantage of so much more of the work happening off site is there is so much less mess. Conventional studio build techniques are notorious for the disruption they cause to an existing facility. Smart Studio have designed their system with pre-built modular components, to avoid many of the unwanted side effects of the conventional studio build which can cause havoc in a busy work environment. 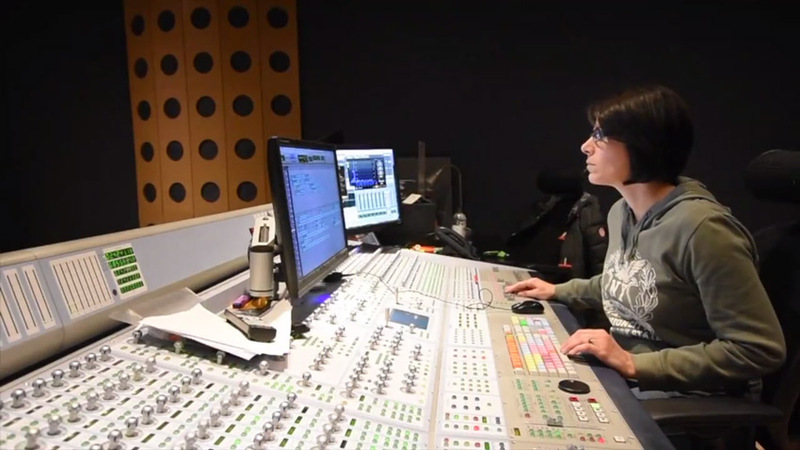 With both audio and video facilities at Media City and central Manchester Flix currently have a combined portfolio of 23 offline suites, 6 online suites, 6 dubbing theatres, 3 voice over booths and a Da Vinci Resolve Grade suite. The facilities at Media City were a new build inside an existing tower block on the 7th floor of the White Tower in Media City. The team at Flix very quickly realised that they would not be able to get all the materials they would need for their facility up in the existing lifts and so very early on decided to remove one of the large windows 7 floors up and crane everything in over a weekend before they started the build. 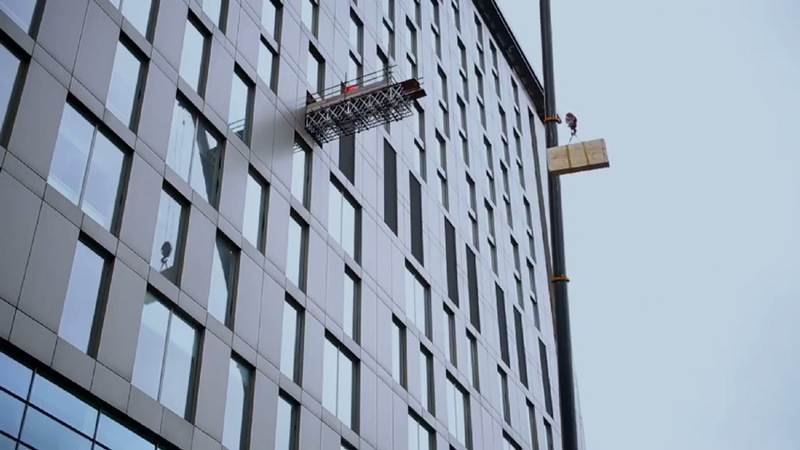 That meant they needed to work out everything they would need before the job started, get it on site and then crane it up into their space on the 7th floor. Smart Studio was to install two 5.1 Dubbing Suites and a VO booth designing and building all the modular elements and get them to site ready to be craned into position along with all the other materials including all the steel work for the mezzanine floor planned for the double height space Flix had acquired in the White Tower. then once the walls and internal structure were in place they could install the modular elements into the 3 studio spaces.